For detailled information scroll down. 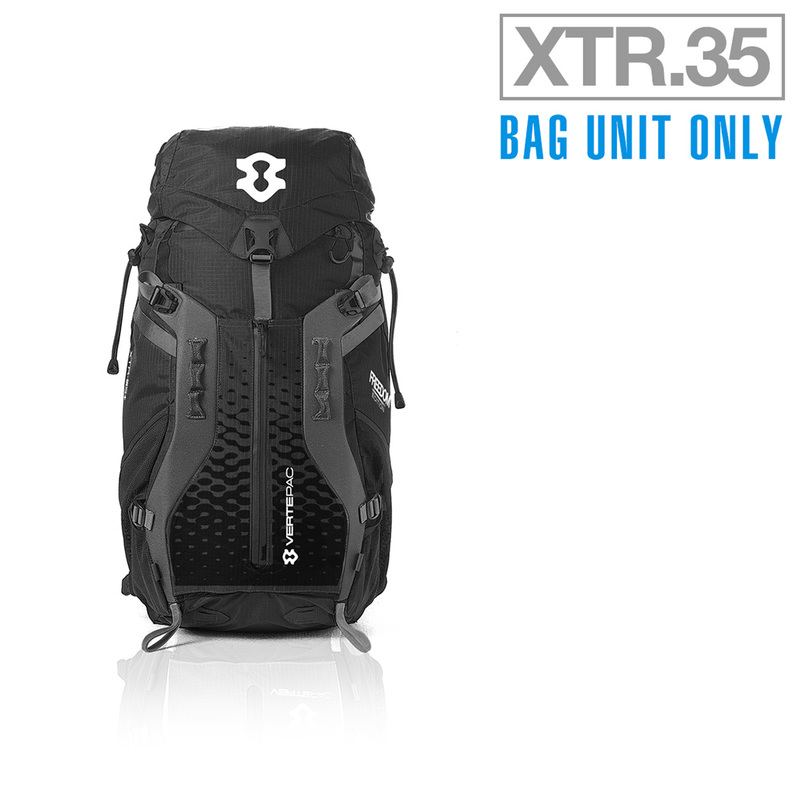 Versatile outdoor backpack – 35 l.
3D moulded EVA back panel to connect the Bag Unit to the Carrying Unit. Durable double lining textiles & waterproof YKK zippers. 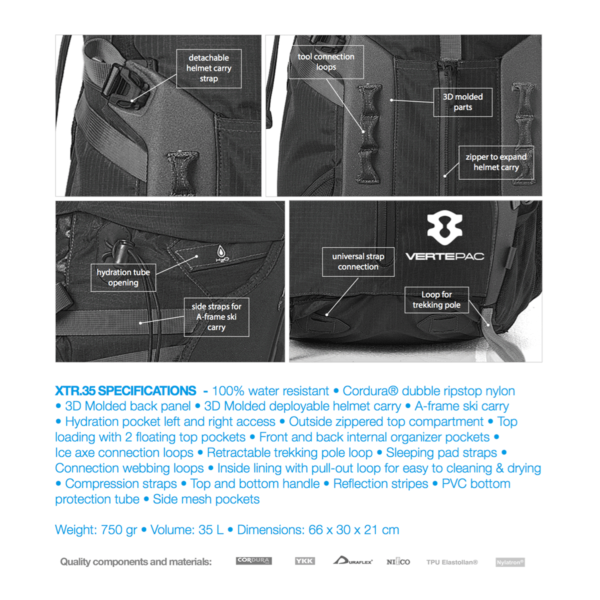 Front and back internal organizer pockets and bladder pocket (right/left ports for hydration tube, bladder not included). Bottom straps. Deployable multi functional helmet carry with ice axe loops and expandable stretch option. Four diagonal side compression straps. Bottom handle for additional mounting of gear. Inner lining for easy cleaning and quick drying. This is the bag unit only; it will be delivered without the carrying unit. "VERTEPAC HAS THE POTENTIAL TO BE AT THE CRADLE OF JUST SUCH A BACKPACK REVOLUTION AS THE ‘SOFT PACK’ HAS CAUSED IN THE PAST."